Following recent expansion of the B4RN Rural Network towards Burton, and the new Auction Mart at J36, there is a very real possibiity of bringing this to Holme. The first priority will be to provide a service to the key businesses of in Holme, Elmsfield, and Holme Mills, but the service will also benefit community interests including the Village Hall and the Commuity School. 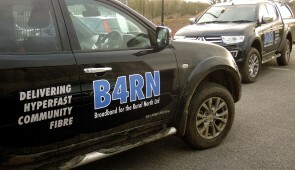 To understand the benefits of B4RN, take a look at this excellent video. Community involvement – to help dig and lay the network, once funding has been secured, and agreements on the route have been finalised. When could this happen ? 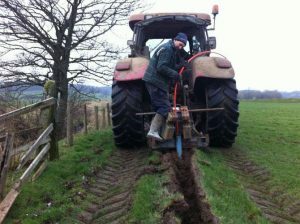 Funding has already been offered to bring the fibre from near J36 to Old Lane in Holme, and pipe is already in position from there to Elmsfield. The next stage, into Holme and Holme Mills, depends upon the cooperation of local landowners, offers of help, and funding. However, there is no reason why the service could not be live within the year. A public meeting will be held in Holme during March, but before this time, a grant application will be made for a signficant proportion of the hardware which is needed. If this can be combined with other funding, then this project could easily become a reality.